So what has been going on the business world of Ellipsis? Well to be honest, lots of catching up mostly. Life has been more than hectic. There was a little bit there where I had three part time jobs, this was not conducive to running a business from home. I’ve acquired and sold quite a lot of books, but I am very behind on adding books to the various sites where I sell them. I have about 7 more boxes to add and I am currently hovering at just under 1,000 books for sale on Alibris. Many of the books I have yet to list online are vintage or antiquarian and need to photographed and listed on Ebay or Etsy or both! Yes I am now on Ebay! I am not consistently listing, but it is much easier than it was a few years ago when I tried it. It also seems to be less expensive, but maybe it’s that I have more money to throw around. Ebay is great for books/DVDs that I cannot list on Alibris. I am also selling non-media items that I am taking a commission on selling for clients. As far as jams and jellies go, I have been experimenting as time allows. I made a Ginger Peach White Tea Jam that is the bomb and I also made a classic Concord Grape that turned out quite nicely. In a week, I will be setting up a craft show. 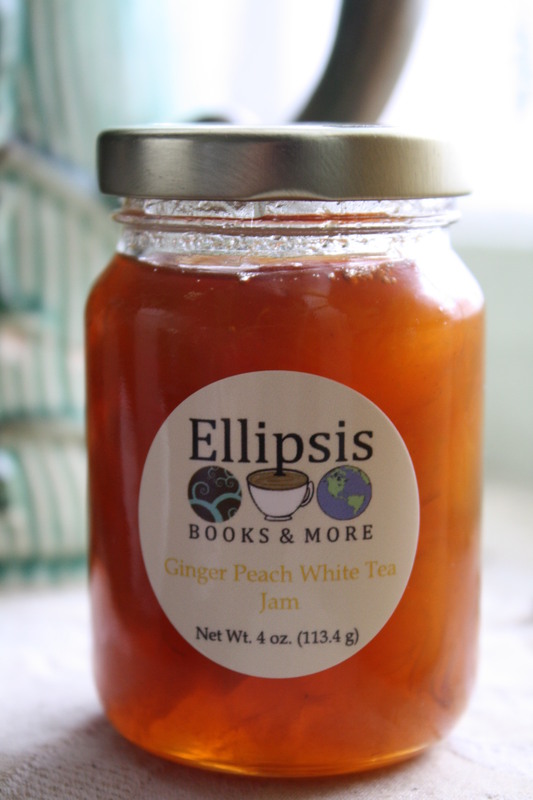 My aim is to sell out of the Winter Jams before Spring jumps into full bloom and I am drowning in violet blossoms. I am so excited about the garden this year! I dug the smaller bed into a larger bed about 8 feet longer. I bought fencing supplies to keep the rabbits (and my very rabbit like pug) out of the garden and I also bought tomato cages! I know it’s probably silly, but now that I have tomato cages I feel like a real gardener. Staking them up last year just did not work. They just kept falling down. Some of my cherry tomatoes were so full of tomatoes that the bamboo stakes they were tied to actually cracked and broke! Now this year they will be all caged and professional looking. My compost also turned out gorgeous and a second bin is coming along nicely. I have seedlings all ready to go out and I’m planning a trip to the nursery soon. All in all, the business is doing great. I have 300 wedding favors (herbal teas) to package and ship out very soon (pictures will be coming). I am making money instead of loosing it, always a good sign. Recently, I visited Fairfield, IA for the second time in a year. 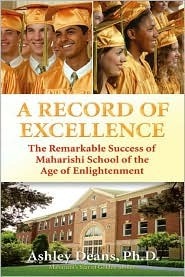 The first time we stayed at the Maharishi University of Management and mostly remained on campus. We also visited the Maharishi School of the Age of Enlightenment (MSAE), which is a K – 12 school featuring what they call “consciousness based education.” On this second visit we spent an entire day at MSAE and so did our daughter. She just turned three a month ago, so she stayed with the preschool throughout the day, playing in the Nature Explore Classroom and in the indoor classrooms. Meanwhile, we were getting a tour of the main part of the school, including the library, the sports facilities, the cafeteria/auditorium, the orchard, the 4,100 sq.ft. greenhouse, and the kitchen where the students cook and preserve what they grow. We had lunch in the vegetarian cafeteria (where you may bring a lunch with meat if you wish.) The food was delicious and included fresh greens picked on campus. After lunch other parents arrived for the Open House and we had a talk with the director of the school, Dr. Richard Beall. Then had a second shorter tour into the greenhouse and we talked with a sustainable living teacher. He told us about the cob oven he is planning to build with the kids so they can cook pizza with toppings from their pizza garden! There is more to it that the Sustainable living program, they have all the courses normal students do like Math, Sciences, English, Literature, Art. But it seems like they take everything one better. They are a college prep school so the curriculum is quite heavy. But when we talked with students, they were not at all frazzled and every one of them knew what they wanted to do after school. The seniors had all their plans sorted, they applied to and were accepted to several schools each and they all knew which ones they were attending and for what with such assurance. So what is this place? How do they do it? And what is “consciousness based education” ? While I was speaking with Dr. Beall, I was given a book to read written by Dr. Ashley Deans, the previous director of MSAE, now a pioneer of spreading consciousness based education throughout the world, through Transcendental Meditation. Yes, these kids practice meditation twice a day in order to allow they brains to make connections and relax. They also learn Sanskrit (the oldest known human language and the basis for all modern language) and they have a course called “The Science of Creative Intelligence.” This course is taught in some way from Preschool to Senior year. It is made up of simple principles like “Life is made of Layers,” “Order is Everywhere,” and “The Purpose of Life is to Grow.” They are taught through these principles that all the subjects they learn in school are connected to each other and also to themselves. Of course it’s also helpful that these students live in Fairfileld, home to one of the greenest mayors in the country, an entrepreneurial center of Iowa, and also home to huge arts and technology scenes. When driving around Fairfiled you see solar panels and Maharishi Vastu Architecture and loads of small business. it’s really a very inspiring place. Every time we go, I feel so inspired. The book I was given “A Record of Excellence” is fantastic in describing how this lifestyle drastically increases well being. The tagline of MSAE is “Inner Development and Outer Success.” Dr. Ashley Deans talks about developing the “knower” in order to develop the known. How different is this from “information based education” that is typical of educational institutions? I believe in consciousness based education. This is not a hippy dippy thing that was invented in the sixties. 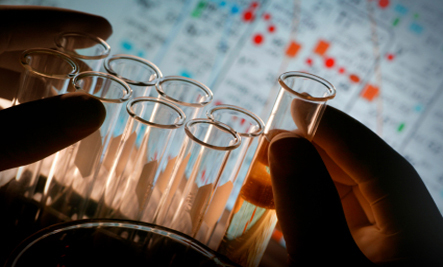 It’s based in science and thousands of years of experience. It truly gives people peace of mind and it allows children to find their direction in a non-stressful way. 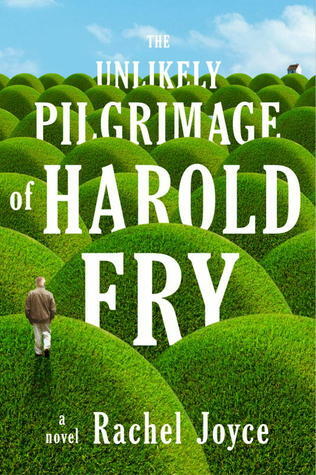 I was attracted to this book, “The Unlikely Pilgrimage of Harold Fry” by Rachel Joyce automatically. I have a thing for long titles. When I read the flap and found it was about an old man trying to save a woman from his past from cancer by walking all the way to Northern England from Southern England, I knew it was something I had to read. I waited until it was available through interlibrary loan because I have a book buying problem (well, not problem, money deficit disorder perhaps) and within a month or so it was in my hands. Joyce introduced me to Harold, a lovely retired British man that lost control of his life at some point rather sedentary and boring. We also meet his wife Maureen, who clearly detests Harold and spends all her time cleaning. She used to cook and garden and love her husband she wanted to make him happy and fill the gaps in his life. The story switches between Harold and Maureen, as Harold walks to Queenie to “save” her and Maureen deliberates about her life. They both go through life transformations that were both painful and joyful to watch. This is Rachel Joyce’s first book and it is lovely. It flows beautifully and I felt like I knew Harold and Maureen very early on. I won’t spoil the end, but it is satisfying and complete. This book will stick with me.